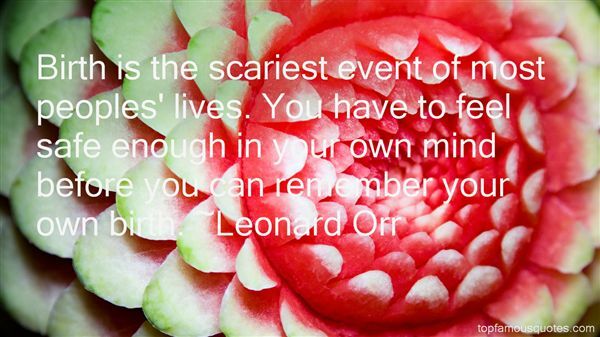 Reading and share top 10 Leonard Orr famous quotes and sayings. 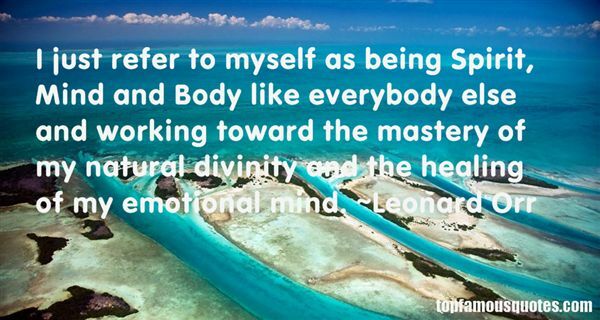 Browse top 10 most favorite famous quotes and sayings by Leonard Orr. Mick's not good on his own problems, but he's very good at other people's. He's been wonderful over the years. I don't mean I ring him up every week, but he's fantastic." What Did Leonard Orr Talk About?